LeVar Burton will be bringing the joy of reading to a live audience at Majestic Theatre in Dallas, Texas on Monday, Nov. 12 as part of his popular LeVar Burton Reads Live! tour. Watch the magic of Burton reading (to Neil DeGrasse Tyson, no less!) by playing the video above, then don't wait to get your tickets to this enchanting event are on sale now through AXS. The live tour is an extension of Burton's popular LeVar Burton Reads podcast, where Burton chooses some of his favorite short stories and reads them for audiences to enjoy. There are 33 episodes so far, including Burton reading stories by Elmore Leonard, Neil Gaiman and Ursula K. LeGuin, among others. It's very familiar territory for Burton. While fans may recognize him for playing Geordi LaForge on the hit series "Star Trek: The Next Generation," he's almost as well-known for being the face and voice of the popular children's program "Reading Rainbow." Burton hosted "Reading Rainbow" from 1983 to 2006, and helped to inspire generations of children to read and learn. He helped keep the brand alive after the TV show was over, launching a Reading Rainbow iPad app in 2012 and then in 2014, raising more than 5 million dollars to help make Reading Rainbow available to a wider audience. No one reads a book better than LeVar Burton, and he's taking his one-man show out on the road to bring a few more stories to life. Whether you remember his past work or not, this is an evening of live performance everyone can enjoy and no one will forget. 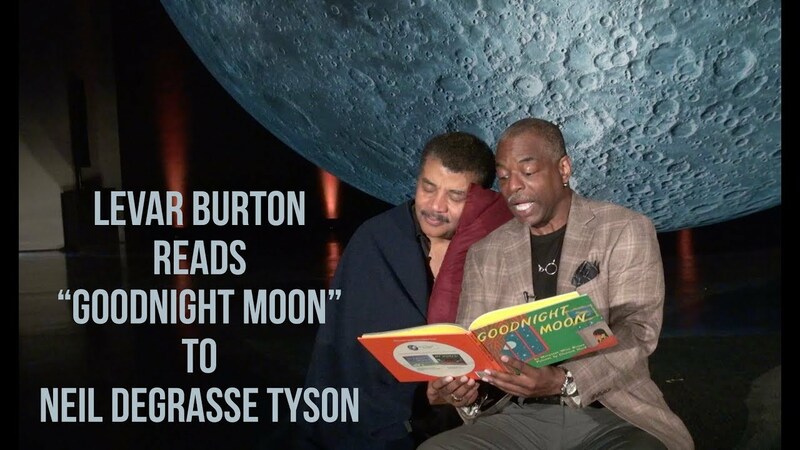 However, be aware that LeVar Burton Reads Live! is intended for a more adult audience than "Reading Rainbow." There is a parental advisory for this event, as Burton's selections can contain some mature content and because of that, the show might be inappropriate for any children under 13. That doesn't mean it can't be enjoyed by families, but it's aimed more toward older children and adults. The full content advisory can be found on the AXS event page. Tickets for LeVar Burton Reads Live! at Majestic Theatre are on sale now through the AXS event page. For more on LeVar Burton, visit his artist page at AXS.